Just before the Houses of Parliament broke for the Christmas holiday they approved to increase security (or perimeter security enhancements as its known security jargon) at Parliament House by surrounding the roof and their lawns with 2.6 metre, 1.5 metre and 1.2 metre high fences at various intervals [pdf] which has drawn great ire from Australian architects including Glenn Murcutt and Australian Institute of Architects. Why is there such outcry over increasing security at the centre of government in Australia? 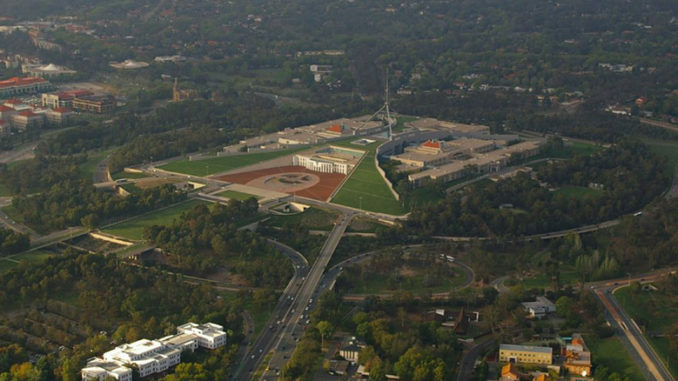 The design for Parliament House which was won by “Mitchell/Giurgola & Thorp and imagined Parliament House that symbolically rose out of the landscape and could not be built on top of the hill as this would symbolise government imposed on the people…it was important that [it] be seen as extending an invitation to all citizens. 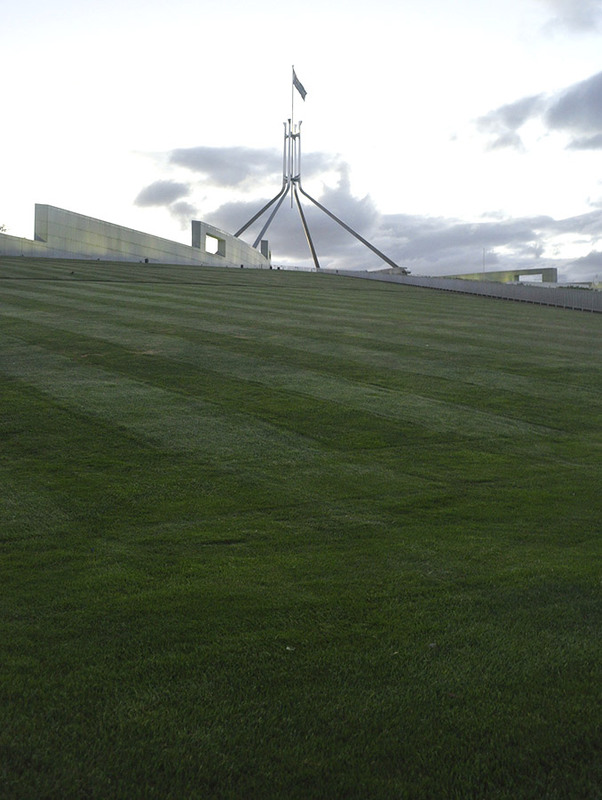 The grand lawns of Parliament House allowed the public to be able to freely access and walk over the Houses of Parliament.” . 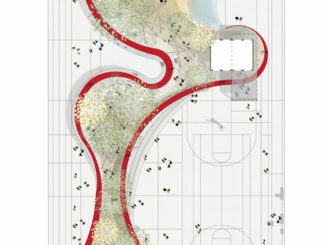 This grand idea that won the design competition provides an insight into the values of Australia, its cities, communities and people and is the main reason why so many architects and the public are voicing their opposition to the fence, whether in newspapers, blogs or on social media. The objection that many including myself have to the fence is not only for aesthetic reasons but is also due to its disrespect to the original idea and concept that the central seat of government is able to be freely accessed. 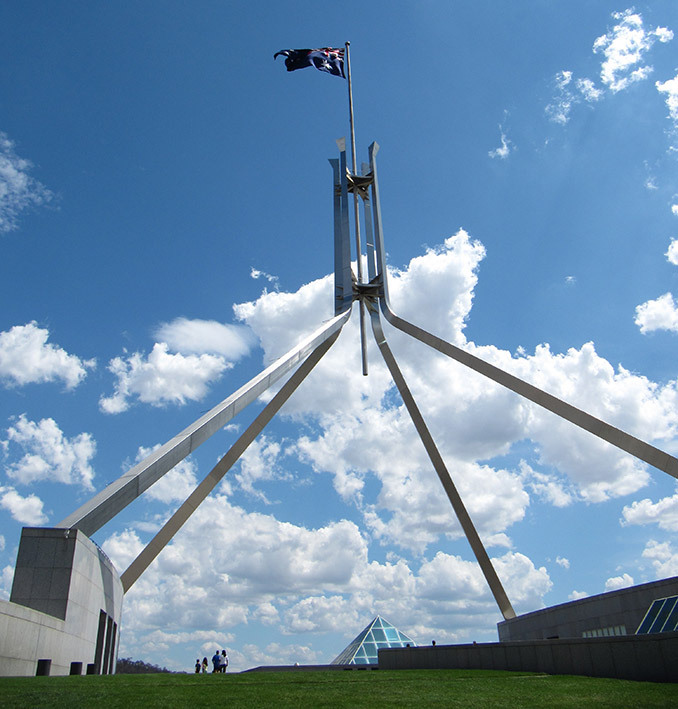 Placing a series of fences on the top of the Parliament House erodes the idea and values that Australia as a democratic nation hold true in our everyday lives, it should be something celebrated and encouraged. These fences will place not only a physical but mental barrier in the public’s mind at a time when it seems the world’s governments are failing to hed the signs that people want a more open and free government not ones that hide behind fences and walls. I remember visiting Canberra (as a child and adult) on several occasions including a time when Parliament House was rising from the ground in the mid 1980’s and creating a new landmark in Canberra that represented a bold young nation, however with each successive visit I felt as though Parliament House was becoming more closed off and that more and more areas including the roof were closed off to the public due to security concerns. I understand these concerns however, in the current technical age of drones, infra-red, lasers, thermal cameras, face recognition and a mirade of other technology it seems a fence is a low-tech committee dreamt up solution ans shows that we lack innovation and that we value our security over our values as a nation. If you wish to petition the Senators that voted to have the fence installed go to the Senate documents. 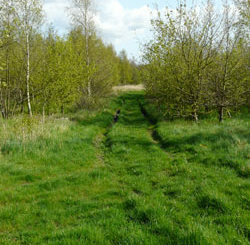 Damian Holmes is a registered landscape architect living in Melbourne, Australia and is Founder and Editor of WLA. These views are personal and do not reflect the views of my employer/s.